Phoenix Contact UK will be putting ourselves out there to do just that. So all of our greatest minds have come up with THE TOUR. 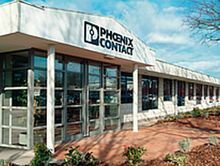 It will travel around the UK to bring to the OEM community the main concepts we think Phoenix Contact can best help with. In a little under a day we will endeavour to show you how as an application solver and solution provider we can contribute to your success. #MarkingTheNation continues – improves component marking & labelling whilst simplifying integration from CAD to Production. 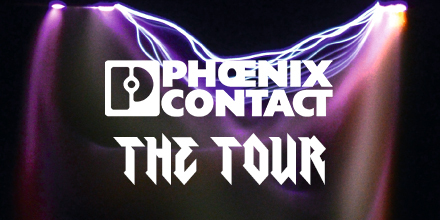 Phoenix Contact ‘THE TOUR’ – Expertise, Solutions, Cost Saving to be brought out to you in the UK as hands on seminars. This will be done by showing products, expertise and providing hands-on time to you so can evaluate the gains that can be made by aligning with our new approach to Machine Building and all the support activity required from a key asset that a great supplier can provide. Look out for future blogs and Social Media content using #TheTourUK for more details as we will be coming to a venue near you. Also check our website phoenixcontact.co.uk for updates and to register for one of the workshops. The dates will be announced soon and don’t be slow in coming forward and putting your name down to attend #TheTourUK and gain some positive advantages over your competitors. We even welcome questions and/or requests for particular product or applications prior to the day if you want to challenge us.